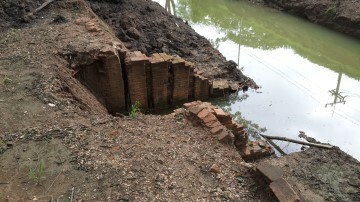 It is one of the three large canals running north to south of which two still are in existence. 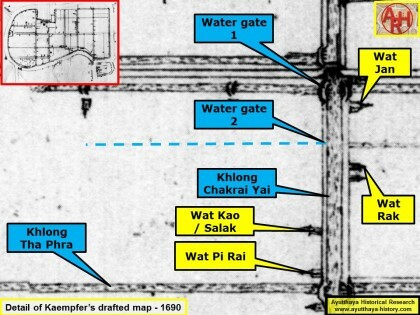 wooden Khun Lok Bridge north of the Chakrai Yai Water Gate. 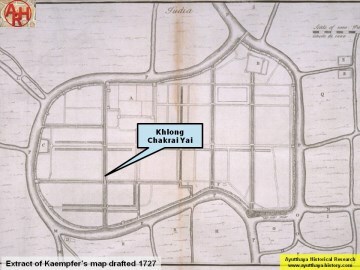 For the meaning of "Chakrai" see Khlong Chakrai Noi. Society, Vol. 99, 2011 - page 56.
not know if this was the case here). 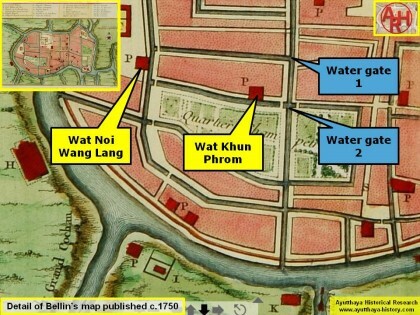 Both locations of the water gates seem to match with the waterway junctions on Bellin's map (ca 1750). 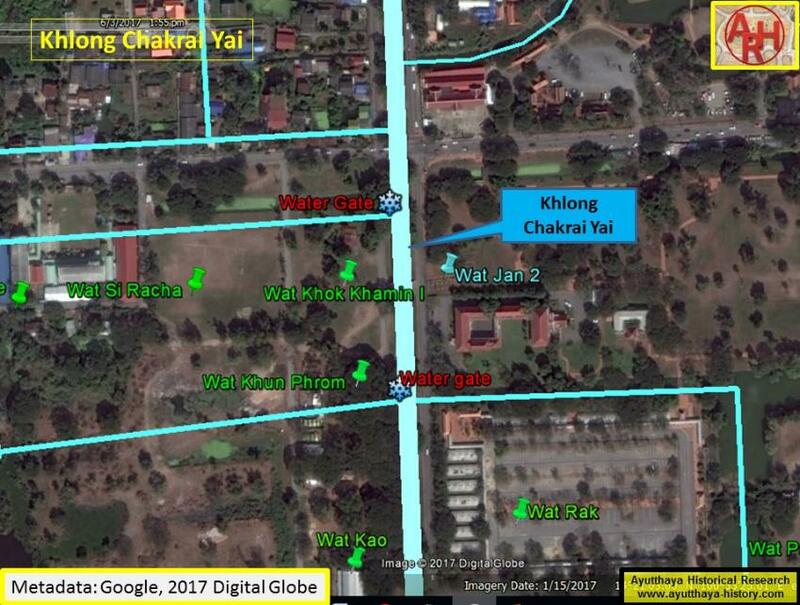 Saek, Wat Takhe, Wat Si Racha, Wat Khok Khamin (all these monasteries are defunct today). 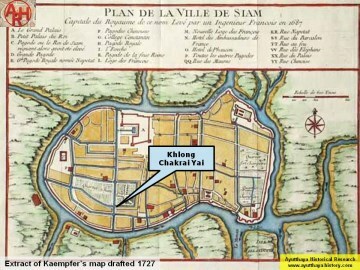 Yai south of Wat Jan and north of Wat Rak. 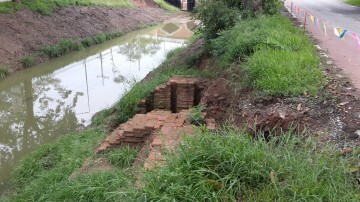 gate on the canal running parallel with Talaeng Kaeng Street. 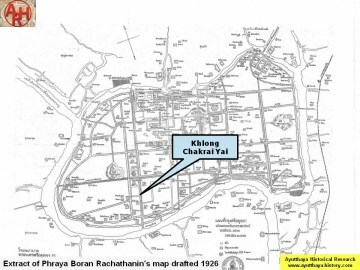 called old canal alignment dates back to the late 19th or the early 20th century at a time that there was a governmental cantonment located in this area. 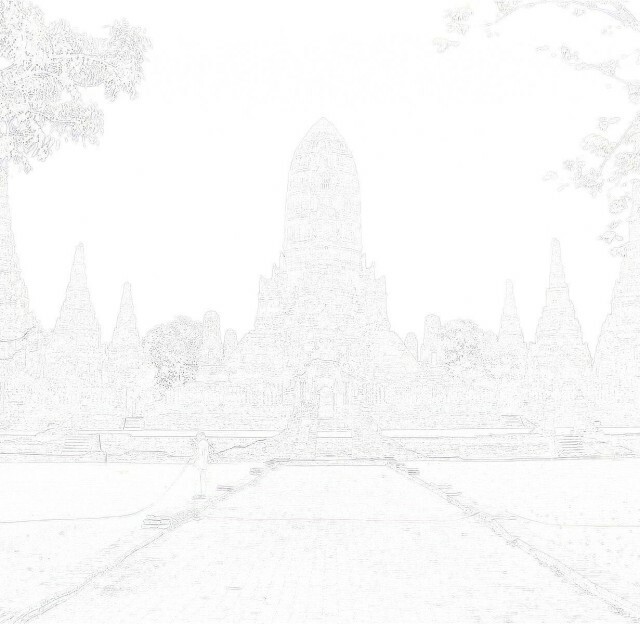 Both the old canals of the Ayutthaya era mentioned in the text are today defunct.